The Nokia Lumia 800, together with its lower-ranged counterpart 710, was released in Malaysia about two months back. However, Nokia only offered three colours then: black, cyan (blue), and magenta (pinkish-red), but promised that its white version would still come to Malaysia. Well, the day has finally come. Not really sure about the other papers but if you subscribe to The Star, Nokia advertised the announcement on today's (6 April 2012) Star 2/R.AGE section, Page 5. 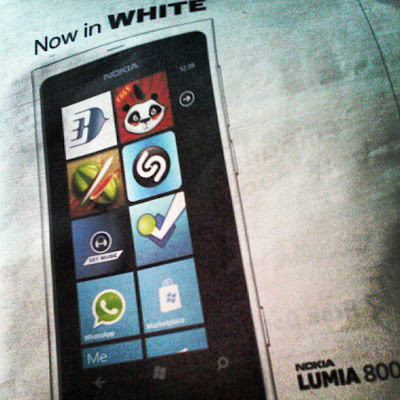 The White version of the Nokia Lumia 800 will be available at all authorized Nokia Store in Malaysia. 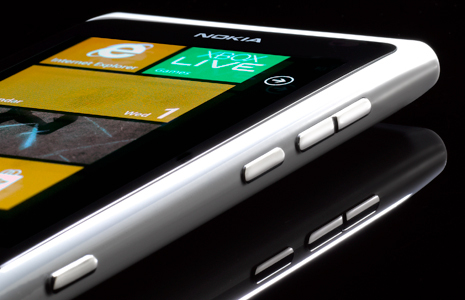 And now that the White Lumia 800 is released, I might just change my mind on getting it, rather than the Cyan one. Any suggestions?